Alegra Motorsports is thrilled to announce their two-car program for the 2019 season of the Blancpain GT World Challenge America(formerly known as Pirelli World Challenge). Alegra will field two Porsche 911 GT3 Rs in this year’s races, one in the Pro-class and one in the Pro-Am class. For the Pro effort, the Alegra team will be welcoming veteran Porsche drivers Wolf Henzler and Marco Holzer. Henzler and Holzer are inextricably connected to the Porsche brand, bringing years of combined Porsche-specific experience to the driver’s seat. Moreover, Henzler is no stranger to the series, having competed in the previous year. Holzer earned his depth of experience behind the wheel of a Porsche through successful competition many international races, including wins at events such as the 6 Hours of Silverstone and Petit Le Mans. For the Pro-Am entry, Alegra Motorsports will field a new 2019 Porsche 911 GT3 R alongside long-time partner Policaro Motorsport and InSync Healthcare Solutions, a medical software development company. The car will be piloted by Alegra alumni Daniel Morad and Team Principal Carlos de Quesada, whom together took the top spot at the 2017 24 Hours of Daytona. “I’m so happy to have the band back together, where we’ve enjoyed a lot of success together. Alegra Motorsports have always been family to me. It’s awesome that we have the opportunity to share a ride again” said Daniel. 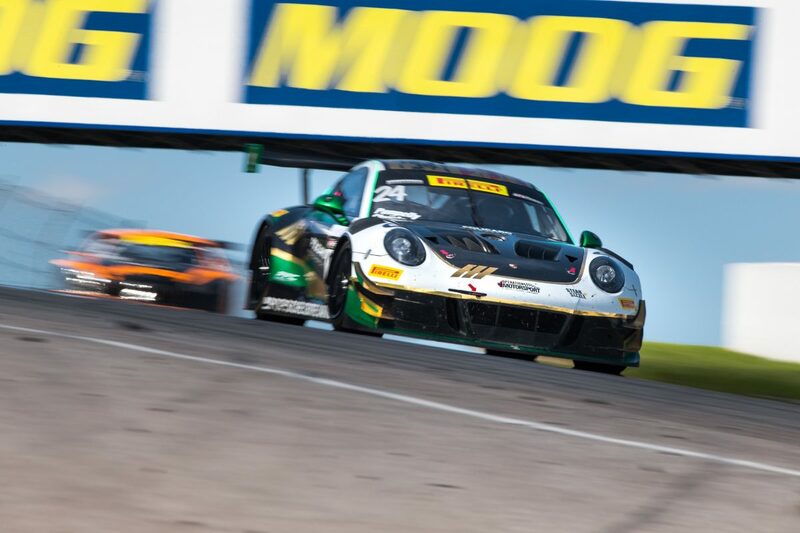 As a series veteran, Morad found himself on the podium multiple times throughout the 2018 Pirelli World Challenge. The talented duo will bring the same level of competition to this year’s Blancpain GT World Challenge America Pro-Am series.